When it comes to social media marketing, Twitter is just as important and integral to every business today as other platforms such as Facebook, Instagram, and Youtube. Twitter is an excellent network to connect with users through quick, engaging, and informative posts that are shared in real-time through real and genuinely built connections. Over the years though, businesses have been finding that it is more and more difficult to get audiences to click from Twitter to their websites. When compared to other leading social networks, Twitter has the least effective conversion rates from clicks off of the platform and onto business websites. However, this doesn’t mean that engagement has to be low or that there is no use in using Twitter for social media marketing. The key to it is making sure your content is actually tweet-worthy. Here are a few tips on how to do this. 1. Don’t overdo it on hashtags and mentions. Hashtags are great for helping your tweet gain visibility, and mentions can deliver amazing results if you are focusing on influencer marketing, but if there are too many of these, they will take away from your link clicks. 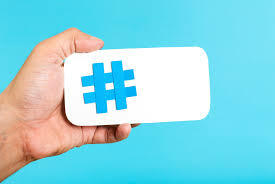 Hashtags and tweets without mentions are 23% more likely to generate link clicks than tweets with multiple hashtags and mentions, according to a Twitter study. Ways to counteract this include moving your hashtags to the end of the tweet and using no more than one hashtag per tweet. 2. Tweet about relevant trends. When you tweet about relevant trends, you are more likely to get clicks because there is a spike in interest as more people are likely to see the tweet. The best way to go about this is to use tools such as Hashtagify and Buzzsumo to see what content is trending, write about it on your website blog, and then tweet about it. 3. Use previous successful tweets to quote yourself. Because the typical lifespan of a tweet is relatively short, it means that a lot of your successful tweets will be drowned out after a short while. So, use twitter’s quoting system and quote-tweet yourself. This brings your original message back up to the top of the queue without eating up valuable characters. 4. Always keep an eye on what your statistics depict. Twitter provides every account with free analytics and statistics tools that display what kinds of engagements each tweet brought in. You will be able to see impressions, time, engagement (likes, re-tweets), and URL clicks. This data is quite valuable because you can then aggregate it to show you what your most engaging tweets have been, which further allows you to replicate that same success. 5. Try asking a question. You can find relevant questions to pose to your followers that are related to your business industry just by searching Twitter or doing a simple Google search. When you ask a question in a tweet, you are inviting your audience to participate and engage with your brand. If you want to really level up your Twitter game, go above and beyond the previously mentioned tips, and make sure to optimize your landing page by using Twitter cards and social media reviews. Not only do these make your tweets appear richer and more attractive to click on, but they create a customized user-experience that makes audiences feel as though each tweet was tailored just for them. Regardless of what tips you choose to implement, don’t forget the basics of a mobile-friendly website that loads quickly, efficiently, and has little to no downtime. Remember, Twitter users want to see your content, but they want to consume it in a quick fashion with as few glitches or snags as possible.